With Gov Pat Quinn due to make his State of the State address Wednesday, Illinois legislators hope his speech will touch on a variety of issues. Quinn is scheduled to give his speech before a joint session of the House and Senate at noon on Wednesday, and he says he plans to focus on economic development. “My hope would be that he continues to realize the difficult position we’re in, and he has some plans.” Eddy said he think Quinn needs to acknowledge the issues brought up in a recent report from the Civic Federation that says the state’s backlog of unpaid bills will total $35 billion within five years if not action is taken. Cullerton said he would support a plan to borrow to pay down the state’s overdue bills, but only if it had bipartisan support. “We should finance those payments over time. Pay people off right away, not borrow money from our vendors but from our lenders,” Cullerton said. “That would help the economy. That would make people who do business with the state feel more comfortable in doing so.” Quinn has favored such a proposal in the past. The Civic Federation report also highlights growing Medicaid and pension costs. Both are issues Quinn said he plans to talk about Wednesday. “There’s some very interesting ideas in there,” he said of the report, but he said the document “was a little light” on proposals for economic development. Eddy said that while such speeches are the time to lay out the broad strokes of policy changes, he hopes that Quinn does not make any drastic announcements that he later fails to follow up on. Eddy pointed to Quinn’s proposed elimination of the Regional Offices of Education in last year’s budget address. Quinn later used his veto pen to remove the funding for regional superintendents, and they went without pay for months. Quinn did not designate an entity to take up the duties of the Regional Offices of Education. The legislature, somewhat begrudgingly, passed a bill to pay the superintendents. Many lawmakers, including Eddy, were frustrated at cleaning up what they saw as a mess that Quinn created. “Maybe the last year and his recognition of the fact that just saying it doesn’t make it so will be a good lesson for him,” said Eddy, who is a school superintendent in Hutsonville. Lang added: “We have to find revenue. I don’t think the governor will discuss, for instance, the gaming bill, but the negotiations continue on that.” Lang sponsored a bill to increase the number of casinos in the state and allow slot machines at horse racing tracks. The bill passed both legislative chambers, but Quinn publicly opposed it. Lawmakers never sent the legislation to Quinn, who said he planned to rewrite it if it landed on his desk. Interested parties have gone back to the drawing board to try and negotiate a new bill that lawmakers would approve and Quinn would sign. 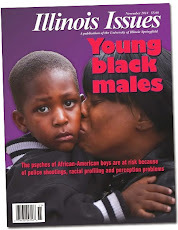 For a look back at Quinn's first year as elected governor, see Illinois Issues January 2012. Following a call to action that President Barack Obama made in his State of the Union Address, Gov. Pat Quinn today proposed raising the dropout age for Illinois high school students. “When students don’t walk away from their education, more of them walk the stage to get their diploma. When students are not allowed to drop out, they do better. So tonight, I'm proposing that every state -- every state -- requires that all students stay in high school until they graduate or turn 18,” Obama said in his address before Congress on Tuesday. Illinois high school students could drop out at age 16 until lawmakers voted to increase the age to 17 in 2005. According to the Illinois State Board of Education, the statewide dropout rate in 2004 was 4 percent, and the rate today is 2.7 percent. “I would anticipate if it was raised to 18, we would see another decrease in the dropout rate,” said Matt Vanover, spokesperson for the ISBE. Vanover said that moving the age up from 16 made a difference. “You get the driver’s license, and all of sudden you think, 'I don’t need school, and I don’t want to stick around for two years,’” he said. “Two years is an eternity in a teenager’s mind.” He said that the closer that students get to being able to see the light at the end of the tunnel, the more likely they are to stick it out and graduate. All four legislative leaders and Gov. Pat Quinn have said that pension reform is a priority in the upcoming legislative session, but their opinions differ on what would be best for the state and legal under the Illinois Constitution. Recent reforms in other states could provide models as lawmakers move forward. This is the final installment in a three-part series that looks at different aspects of reform in other states. While labor issues in some states have turned into ugly fights that involved sit-ins and heated rhetoric, one state managed to work out pension changes through negotiations with its unions. In Vermont, state officials sat down with labor leaders and worked out a deal that will save the state about $15 million a year, which was about 10 percent of the state’s budget deficit at the time the deal was struck. Employees will contribute more of their pay toward their retirement costs. It varies for different workers, but it will mean about 1 percent more of their salaries would go to their pensions. Workers will have to wait longer to retire, but will see a bump in benefits. The deal also includes a two-year 3 percent pay cut for state employees, a first in Vermont. Employees in many states have had to pay more for their retirement benefits. In 2010, 11 states increased the amount employees must contribute to their retirement. In 2011, it happened 16 more times, although some of the same states that had raised contribution levels the previous year made the move again. “If you were to look across the country in cases where required pension contributions has been raised by employees you would find a range for different reasons,” said Keith Brainard, research director for National Association of State Retirement Administrators. That is what House Minority Leader Tom Cross said needs to happen in Illinois. Under Cross’ proposal, Senate Bill 17, workers who want to stay in the current benefit system would have to pay more. “You’ve got to truly pay for the cost of your benefits,” Cross said at a recent news conference. What sets Vermont apart is that state workers — not legislators — approved the increased contributions through their unions. “I think what happened in Vermont is that the governor and others sat down with labor and said, ‘We’ve got this problem. There’s only so much money to go around, and something’s got to give,'” Brainard said. The state is facing a deficit, a pension funding shortfall and, according to Vermont Public Radio, 25 percent of Vermont state workers will be eligible to retire by 2015. Other key factors in the negotiations may be the fact that Vermont is a small state and has a tradition of public civic engagement. Brainard said Vermont is an example where defined benefits plans can continue to be workable and states do not have to switch to 401(k)-type defined contribution plans to tackle their pension problems. Senate President John Cullerton said he would like to see Illinois negotiate a deal with its unions. “We can affect current employees … with laws that have a contractual basis. If there’s a reduction in benefit, there has to be a corresponding consideration, and there has to be acceptance," Cullerton said at a recent news conference. That is what former Vermont Treasurer Jeb Spaulding, who worked on the agreement in his state, wanted to avoid. “It would have been a Pyrrhic victory if we forced through a plan that was enjoined or overturned and we didn’t have any savings at all,” Spaulding told Stateline. Illinois union officials say they want to be at the table for any talk of pension changes, but they say that workers should not have to pay for the underfunding of the pension system after lawmakers and governors skipped required contributions year after year. The only way to solve the pension funding problem is for the unions that represent public employees — whose retirement security is dependent on the health of the pension funds and whose deferred compensation makes up 100 percent of the funds’ assets — to be full partners in discussions that are appropriately structured and focused on the real problem, funding,” Anders Lindall, spokesman for the American Federation of State County and Municipal Employees Council 31, said in a prepared statement. Both Brainard and Draine agreed that states also need to consider the role that pension benefits play in recruitment. All four legislative leaders and Gov. Pat Quinn have said that pension reform is a priority in the upcoming legislative session, but their opinions differ on what would be best for the state and legal under the Illinois Constitution. Recent reforms in other states could provide models as lawmakers move forward. This is the second installment of a three-part series that looks at different aspects of reform in other states. While Gov. Pat Quinn has been coy in the past about his stance on pension changes, he has voiced strong support for passing pension reform legislation in 2012. “For all the beneficiaries in the system, it’s important that we maintain the integrity the stability of the system, otherwise there won’t be any pensions for anybody,” Quinn said earlier this month. The governor created a special working group of legislators headed up by close adviser and former chief of staff Jerry Stermer to take on the issue and come up with recommendations for change. Quinn has not addressed whether he supports changing benefits for employees hired before a previous round of reforms went into effect last year. He has only said he does not want to make any changes that are unconstitutional. Two recent court cases may have opened the door to more states considering reducing or outright eliminating cost of living adjustments for retirees. According to the National Conference of State Legislatures, 17 states have taken actions in the last two years that would reduce COLA benefits. Most states making such changes, including Illinois, have reduced COLAs for future employees. However, in 2010, Colorado, Minnesota and South Dakota all reduced the cost of living increases given to their current retirees, and other states are taking notice. “It was new news in 2010 when three states made changes to their COLA that affected existing retired members," said Keith Brainard, research director for National Association of State Retirement Administrators. Since then, New Jersey and Rhode Island have both put a freeze on COLA benefits until their pension systems get on sound financial footing. Last summer, judges in Colorado and Minnesota tossed out court challenges from retired state workers, allowing the COLA reductions to stand. The states said that the COLAs were not part of contractually guaranteed benefits, while the workers argued that reducing them would violate both state and federal protections for contracts. “The big legal question that has resulted in these court cases is to what extent are future COLAs … promised and protected benefits,” said David Draine, senior researcher for Pew Center on the States. Denver District Judge Robert Hyatt ruled that lawmakers could not touch the base pension benefits promised to retirees but that cost of living increases were not a protected by contract law. One reason that states with budget problems or underfunded pensions might be quick to jump on the COLA cutting bandwagon is that cuts to COLA increases for current retirees produce almost immediate savings, while other pension changes can take years to produce substantial savings. Social Security benefits and pension benefits for federal workers contain a cost of living increase that is tied to inflation. But with deficit reduction talks taking place on the national level, they too are under fire. There are proposals to link them to a more conservative inflation projection, which would effectively cut the size of future increases. The rulings in Colorado and Minnesota do not apply to other states, and judges elsewhere, including California and West Virginia, have ruled that COLAs cannot be reduced. However, Brainard said the rulings do indicate that some judges are willing to take into consideration the dire situation that some pension systems are in and may allow lawmakers to use more discretion if they are “making a reasonable effort to share the burden equally — that is you’re not taking it out on only one group.” In the case of Denver, the money saved from COLA reductions is slated to go back into the pension system to help shore it up, instead of being spent in areas that lawmakers might consider more popular with voters. “You’ll see this wiggle room that the judges seem to have found,” Brainard said. Quinn has also proposed calling on universities and school boards to pay a portion of the retirement costs for the workers they employ. “Our pension payment this year looks like about $5.2 billion, and of that, about a fifth, 20 percent, is actually state employees. More than half are school teachers in school districts and also the university employees, as well. So we’re going to come up with a good program that makes sure that everyone who is involved in this program has some investment in it,” Quinn said at a recent news conference. Maryland Gov. Martin O’Malley pitched a proposal this month that follows in the lines of Quinn’s statements. Under O’Malley’s plan, local governments would pick up half of the cost of teachers' retirement benefits, including Social Security contributions. Currently, districts pay about one third of the cost. If O’Malley’s plan were approved, local governments would pay almost $240 million more, but they would get some funding — from the proposed elimination of a tax break for top earners — to help with the transition. “It sounds a little bit like taking money out of one pocket and paying it to another, … although, there is something to be said for linking the benefit obligation [to bargaining decisions],” Brainard said. “From the outside perspective, it’s all sort of coming from the same pot, and that is the taxpayers.” He said that the share that local public entities pay for their worker’s retirement costs vary from state to state. However, he said that the split is more an issue of cost sharing between state and local governments than it is a component of pension reform. Yesterday's post explores so-called hybrid pension systems. Check back tomorrow for a look at a state that achieved pension changes by working with unions. All four legislative leaders and Gov. Pat Quinn have said that pension reform is a priority in the upcoming legislative session, but their opinions differ on what would be best for the state and legal under the Illinois Constitution. Recent reforms in other states could provide models as lawmakers move forward. This three-part series will look at different aspects of reform in other states. As Illinois looks at its seriously underfunded retirement system for state workers, it is not alone. A recent Pew Center on the States study found that at a 51 percent funding level, Illinois has the most under-funded pension system in the nation as of Fiscal Year 2009. However, 30 other states were also under the recommended 80 percent funding level. In FY 2008, 22 states fell below that funding level. Overall, state pensions were funded at a 78 percent level in fiscal year 2009, which is down from 84 percent in FY 2008. Since pension systems vary so much across the states—including to what degree benefits are protected by statute and constitutional provision—Susan Urahn, managing director for Pew Center on the States notes that it is difficult to make an "apples to apples comparison." “We’ve talked about pension reform in this state until we’re blue in the face. We know what needs to be done. We know that other states have done what we need to do, like Rhode Island,” House Minority Leader Tom Cross said during a recent news conference. The plan, approved by Rhode Island lawmakers and signed into law late last year, would freeze cost of living increases for current retirees. Current workers would keep all of their benefits to date, but they would be shifted to a so called-hybrid plan for future benefits. Part of their retirement investment would go into a defined benefits plan and part of it would go into a defined contribution plan, much like a 401(k). Some of the payout would be guaranteed, and some of it would be tied to the performance of investments. The retirement age would also increase for many workers. Rhode Island had one of the largest funding gaps in the country relative to its size. The state operated its fund on a pay-as-you-go basis from the 1930s until the 1970s. “Pension systems with really severe problems often started out as 'pay-as-you-go' plans, in which retirees derived their benefits from current state revenues, not any pool of accumulated cash. Inevitably, the number of retirees grew, relative to the number of current employees, and the checks going out the door took up a larger and larger portion of state revenues,” said a study of state pensions from the Pew Center on the States. “You’re paying for the sins of the past,” Frank Karpinski, executive director of the Rhode Island system, told Pew. If the reforms in Rhode Island survive the expected court challenges, they are projected to reduce the state’s more than $7 billion unfunded liability by $3 billion. That plan passed with the bipartisanship that Cross is seeking for pension reform in Illinois. It was backed by the Democratic state treasurer and independent governor. However, unlike Illinois, Rhode Island does not have a provision in its constitution protecting pension benefits. Rhode Island Treasurer Gina Raimondo, who created plan for change and traveled the state for almost a year to promote it, said that the debate was not marked by the anti-union rancor that characterized labor disputes in states such as Wisconsin. But a backlash has begun. “This would be different if it was given to us. No one gave us anything. We paid for these pensions,” Michael Downey — president of Council 94, Rhode Island's largest public employees union — told Rhode Island Public Radio. Downey said the unions are gearing up for a court challenge as well as a political battle. “When you are retired and you go to check your monthly statement, you won't forget this. You'll remember this. Will it be remembered in the polls? I'm sure it will,” he said. The main similarity that the Rhode Island plan has to Cross’ proposal is that it would change the benefit structure for employees hired before its creation. Under Cross’ plan, workers would keep previously earned benefits but then would have to choose between paying more for their current benefit level, having their benefits reduced or moving to a 401K-type plan known as a defined contributions program. Illinois currently has a defined benefits plan that guarantees employees a specific level of benefits no matter what happens to the pension funds’ investments. Instead of requiring employees to choose between defined benefits or defined contributions, plans like the one passed in Rhode Island rely on a combination of both. So-called hybrid pension plans have become popular in recent years. In addition to Rhode Island, Florida, Georgia, Indiana, Michigan, Ohio, Oregon, Utah and Washington all have hybrid style pension plans. Under these plans, employees do not chose between a defined benefits and defined contribution plan but participate in both. Most typically, employee contributions are placed into a 401(k)-type savings plan while state funds pay out defined benefits. While hybrid plans have been getting recent attention, the majority of states still have defined benefits plans. “Currently, [the hybrid] plan design is receiving increased attention as states find that closing a traditional defined benefit pension plan to new employees could increase — rather than reduce — costs, and that providing only a 401(k)-type plan does not meet retirement security, human resource or fiscal needs,” said a report from the National Association of State Retirement Administrators. Legal issues aside, transitioning from a defined benefits to a defined contribution plan can be tricky because those who have retired under the defined benefits plan will still get their benefits. If there are no new enrollees in a defined benefits plan, it cuts off a large source of funding to the plan, and the state often has to make up the difference. “It is difficult — usually impossible — to save money certainly in the near term by closing down a pension plan and moving to a defined contribution plan,” said Keith Brainard, research director for National Association of State Retirement Administrators. Check back tomorrow for a look at the legal battles in other states over scaling back cost of living increases for retirees. Gov. Pat Quinn today announced plans to close the Tinley Park Mental Health Center and the Jacksonville Developmental Center as part of a larger proposal to close several state institutions. Quinn previously proposed the closure of seven state facilities because he said there was not enough money in the Fiscal Year 2012 budget to keep them open. Lawmakers worked out a budget deal in November to keep the institutions open through the end of FY 2012, but Quinn said he planned to move ahead with closures after the end of the fiscal year. Under the plan, 600 of the about 2,000 people with developmental disabilities currently in state institutions would be moved into community care settings over the next two and a half years, up to four state centers for the developmentally disabled would be closed and two state mental health centers would also be shuttered. Under the governor’s proposal, the Tinley Park Mental Health Center would shut down in July, and the Jacksonville Developmental Center would close in October. The Tinley Park Center primarily serves so-called acute care patients, who typically stay between 24 hours to 21 days. The administration plans to halt admissions at Tinley in time for all patients to complete treatment before the closure, but no date has been chosen yet. “The [Department of Mental Health], however, is actively securing additional beds at community providers and hospitals in the area surrounding Tinley Park [Mental Health Center] to ensure that services in the area are not interrupted,” said a summary of the plan issued by Quinn’s office. According to the governor’s office, several factors were weighed when considering which facilities to close, including the age of the facility, the amount of deferred maintenance and repairs, the level and quality of care and the economic impact. Watson noted that Tinley Park us in northern Illinois, but he said it made the list because Quinn has been considering closing it for a while. Both of the facilities announced today were also on the list for closure under the governor’s previous plan. Union officials complained earlier this week about working group meetings that were held outside of the public view and said Quinn was moving forward without their input. “Mental health and developmental centers provide essential health care services in communities across Illinois. When these facilities are threatened, what’s at stake is life or death for men and women who need intensive developmental services or treatment in mental health crisis and have nowhere else to go. The closure push appears based on politics and budget considerations, not what’s best for individuals, families and communities. It’s grossly irresponsible to plot to close these facilities behind closed doors,” Henry Bayer, executive director of AFSCME Council 31, said in a written statement. “The governor’s office has not reached out to us at all,” said Rita Burke, president of the Illinois League of Advocates for the Developmentally Disabled, which represents parent organizations from the state facilities. “My concern about these particular people making decisions that are monumental in meaning in scope for families is that I don’t believe that they are intimately knowledgeable about the facilities or about the residents.” She said that the quota-driven nature of the plan could force people into the community against their will or into situations that do not provide an appropriate level of care. Advocates for delivering care in smaller settings argue that receiving services in one’s home or a home-like setting with fewer residents allows developmentally disabled adults more freedom, flexibility and the ability to be a part of their community through activities, such as holding a job or volunteering. “Community-based care is about quality of life,” Kevin Casey, director of the Division of Developmental Disabilities, said in a prepared statement. “Through this careful, deliberate process, Illinois will improve quality of life for hundreds of people with developmental disabilities, while realizing significant savings through the closure of a costly state facility.” The Department of Human Services said it would conduct thorough assessments, so residents of facilities would be matched with the services they need when they are outside of institutions. The plan is to move 20 residents per month out of institutional care. Supporters also highlight the potential cost savings that could come from closing facilities and serving those with developmental disabilities and mental health needs in community settings. According to the Department of Human Services, operations at the Jacksonville Developmental Center cost about $29.7 million annually. Under Quinn’s plan, the state would invest about $16.2 million in community care and save about $11.7 million. Tinley Park Mental Health Center has an annual operating cost of about $20.6 million. The state would invest $9.8 million in community mental health programs and save about $8.1 million. But Watson said that losing the economic stimulus that the facilities provide to the local communities is not worth savings that seem somewhat meager when compared with the overall state budget. “Is this financial or is this philosophical?” he asked. “If the Department of Commerce and Economic Opportunity could make an investment of $12 million and get an economic impact of $47 million, they would do it in a heartbeat,” Watson said of the plan to close the facility in Jacksonville. For more on the state's shift away from institutional care, see the upcoming February issue of Illinois Issues. Even after a tax increase, Illinois has not made much progress on the total of overdue payments it still owes to vendors, medical providers and others. According to Comptroller Judy Baar Topinka’s quarterly report, the comptroller’s office had almost $4.3 billion in late bills as of December. Topinka said that number, combined with approximately $2 billion in Medicaid bills being held at state agencies and other late payments such as corporate tax refunds, brings the total backlog to about $8.5 billion. “Even if current revenue projections hold, the backlog at [the comptroller's office] is not expected to change much from last year,” the report said. Topinka said that the bulk of new revenues from the tax increase is not being used to pay down old bills. “It think everybody assumes that if we’re going to have the largest tax increase in the state of Illinois, that this was going to apply to unpaid bills,” Topinka said. Topinka agreed that growing Medicaid spending is a concern. She said that the economic crash has caused more people to be eligible for the program, and so-called baby boomers will likely need more medical care as they age. “You’ve seen the Medicaid rolls blossom,” she said. The state has also seen federal funds dip as stimulus dollars have stopped coming in. According to the report, Illinois has gotten $1.6 billion less — about a 55 percent drop — in federal funds this fiscal year. As part of the state budget plan approved in the spring, Illinois is slated to push billions in Medicaid spending into next fiscal year. “The [General Assembly] significantly under-budgeted Medicaid [appropriations] for [Fiscal Year 20]12, so processing has been slowed down so cash is available throughout the [current fiscal year], right through June 30th. If the entire Medicaid [appropriation] is spent by, say, April 1st, then health care providers would not receive any payments until the new [fiscal year] starts,” Kelly Kraft, spokesperson for Gov. Pat Quinn’s budget office, explained in a written statement. As lawmakers prepare to return for session in the coming months, Gov. Pat Quinn and the four legislative leaders all count changes to the public employee pension system as a top priority, However, agreement across the aisle and between the two chambers on what needs to be done seems, for now, to be in short supply. Since taking office Gov. Pat Quinn has been careful when he speaks of pension changes for workers who were hired before changes that went into effect last year. Quinn supported the plan, approved in early 2010, that reduced benefits for employees hired after its passage. But as some lawmakers pushed for further reform, Quinn only said he would not support anything that was unconstitutional, without defining what sort of proposals would fall into that category. Quinn’s budget director, David Vaught, said many ideas to change the system are on the table. Both Quinn and Vaught have noted that the bulk of pension costs come from the Teacher’s Retirement System. “More than half of the money that we contribute every year is for teachers who are outside of the city of Chicago,” Quinn said. Senate President John Cullerton has pitched the idea of asking local school districts to pay teachers’ pension costs, and Quinn seems to be warming to that concept. Vaught said asking universities to pay retirement costs for those in the State Universities Retirement System could also be a possibility. Quinn’s office estimates that about 2.7 billion in general revenue funds would go to the Teachers’ Retirement System next fiscal year out of the $4.1 billion of general revenue funds that will have to be spent on pensions. Including money from other funds, next fiscal year’s pension payment is estimated at more than $5 billion. But, for now, constitutionality is in the eye of the beholder. House Minority Leader Tom Cross has the most aggressive plan on the table, Senate Bill 512. Under Cross’s proposal, workers would keep all the benefits they have earned to date. Going forward, they could opt to either pay more for the same benefits that have now, take a cut in benefits and retire later or join what is called a defined contribution plan, which is similar to a 401k. Cross has yet to call his bill for a floor vote in the House. “We’ve talked about pension reform in the state until we’re blue in the face. We know what needs to be done.” Cross said that asking school districts and universities to pay would not solve the problem. As part of legislation that will keep some state institutions open through the current fiscal year, the Illinois General Assembly also approved more spending for some human services programs. With all eyes on a plan to halt state facility closures and avert 1,900 layoff, the General Assembly was able to quietly restore millions to some human services programs statewide in cash-stricken times. Teen Parent Services, which helps low-income parents younger than 20 receive their GEDs and offers parent training classes, received $1.4 million under Senate Bill 2412.“Redeploy Illinois,” a program designed to provide services to youth 13 to 18 years old who are in the juvenile system and are at high risk of being committed to the Department of Corrections, received $2.4 million. Legislators also allocated $1.4 million to the state’s Homeless Prevention program. Sen. Heather Steans, one of the sponsors of the bill, said that if programs to address homelessness did not receive funding now, it would lead to larger problems and costs for the state because more people would end up in emergency rooms, institutionalized and on the streets. “We were making sure it was getting maintained, not cut out completely,” said Steans, a Chicago Democrat. Senate Democrats pushed for more human services spending last summer but lost when the House and Gov. Pat Quinn refused to go along with the plan. The Homeless Prevention program was designed to help provide rental assistance, utility assistance and supportive services to individuals and families who are at risk of being evicted or entering foreclosure on their homes. For the past five years, the program has provided counseling, job preparation and assistance with rent or security deposits. It is administered by six centers in the Chicago area and more than 75 sites statewide that aim to help families remain in their homes by offering various programs such a one-month rental-assistance program and emergency funds for families. According to the Department of Human Service’s website, the program served more than 14,000 households in Fiscal Year 2007. The state’s economic downturn has brought a growing demand for social services and left the state climbing to the top of the nation’s largest inventory of foreclosed homes. A May 2011 RealtyTrac report showed the Chicago metropolitan area had 118,776 homes in foreclosure. “I think there’s a lot of cold people in the street in the winter months, and homeless families have it the worst. … At the end of the day, it didn’t make a whole lot of sense to make an inhuman line item to cut the program,” said Rep. Sara Feigenholtz, a Democrat from Chicago. Currently, more than 14,000 Illinoisans experience homelessness each night, according to a report from the National Alliance to End Homelessness. Although some legislators pushed for the increase in spending for human services, a recent budget projection from Quinn revealed the state plans to spend $507 million more than it will take in during the current fiscal year. The state is also set to hit $7 billion in overdue bills to vendors — including human service providers — by the end of FY 2012. As part of the projection, Quinn called for a 9 percent cut to state spending, with the exception of education and health care, paving the way for potentially large human services cuts in FY 2013. Gov. Pat Quinn today signed a tax break for low-income workers and said changes to the public employee pension systems are a top priority for him in 2012. Quinn signed Senate Bill 400, which will increase the Earned Income Tax Credit (EITC) from 5 percent to 10 percent of the federal credit over two years. The increase will start for tax year 2012, moving it up to 7.5 percent of the federal credit, so it will not apply in the coming months as Illinoisans are filing their 2011 income tax returns. According to Quinn about 935,000 households will benefit from the credit. He said a single mother earning $12,800 a year would save about $150 on her taxes, and a family of five with a household income of $30,000 would save about $199 this year. “It’s very important here in Illinois that we help parents raising children, parents who are working, and they are working hard and they are living from check to check every month. We want to make sure that those paychecks have enough money for the family to pay its bills and raise their children right. So that’s really our mission in Illinois, to help everyday people raising children living form paycheck to paycheck,” Quinn said today at a bill signing event. Rhonda Jones, a single mother who has three children in college and two more in high school, said she has often spent money from the EITC on necessities, such as car repair, children’s clothes or food. “The Earned Income Tax Credit has helped me out of a lot of jams when I have found it hard to make ends meet,” she said at today’s bill signing. Some Republicans traditionally opposed to new spending supported the EITC increase. “This is an opportunity to help people grab the bottom lung of the ladder, to start to get away from the dependency of welfare and get to work,” Sen. Matt Murphy of Palatine said during floor debate of the plan This is a reasonable piece of tax relief for most who get that tax credit. It’ something that I’d like to see—on both sided of the aisle—us support because it is the right thing to do.” . But opponents of the credit, which was part of a package that also offered tax breaks to businesses threatening to leave the state, said Illinois cannot afford to hand out tax cuts. Quinn signed the corporate tax break bill late last year. The overall package is expected to cost about $300 million next fiscal year and $350 million in fiscal year 2014. According to Quinn’s budget office, the bill he signed today will cost $55 million in FY 2013 and $105 million in FY 2014. “Where will the money come from when we have $8 billion in unpaid bills, we have debt, our credit score is going down the tubes, we’re listed as the 48th worst-run state in the union? Where will the money come from?” asked Sen. Chris Lauzen, an Aurora Republican. Quinn’s own budget analysis shows that the state ending the current fiscal year with a $507 million deficit, and Moody’s Investor Services downgraded the state’s credit rating to the worst in the nation last week. Two other rating agencies did not downgrade Illinois but gave firm warnings about the possibility of future downgrades. Union officials maintain that changes to employee benefits hired before the pension revamp would be unconstitutional. Senate President John Cullerton has also questioned the constitutionality of such proposals. Recent efforts to close the state's budget gap, including a temporary income tax increase, were not enough to save Illinois from a credit rating downgrade. Moody’s Investor Services lowered Illinois’ bond rating today. (You must login to see all rating agencies' reports.) The downgrade was from an “A1” rating to an “A2” rating and made Illinois the agency’s lowest rated state. “The downgrade of the state's long-term debt follows a legislative session in which the state took no steps to implement lasting solutions to its severe pension under-funding or to its chronic bill payment delays. Failure to address these challenges undermines near- to intermediate-term prospects for fiscal recovery. It remains to be seen whether the state has the political willingness to impose durable policies leading to fiscal strength,” said the Moody’s report. Fitch, another bond rating agency, affirmed Illinois' “A” rating yesterday. Standard and Poor’s also held its rating of the state flat at an “A+” in a report released today. Under the Fitch rating, Illinois is only second to California for the lowest rating in the country. Fitch gave the state a “stable” outlook but cited concerns similar to Moody’s: the growing pension liability, billions in unpaid bills and lack of a clear budget plan when the income tax increase is set to begin rolling back. Standard & Poor’s gave the state a “negative” outlook. “If Illinois does not make meaningful changes to further align revenue and spending and address its accumulated deficit (accounts payable and general fund liabilities) for fiscal years 2012 and 2013, we could lower the rating this year,” the agency’s report said. Standard and Poor's analysts said if Illinois can begin to address the unfunded pension liability and balance the budget, the outlook may change to “stable,” but there is little chance the state would see a ratings upgrade in the next year. The ratings came as a result of the state planning a sale of about $800 million in bonds for capital construction projects. All three rating agencies viewed the recent tax increase as a positive step toward stabilizing the budget. However, it was not enough in the eyes of Moody’s analysts to deter a downgrade. The lower rating does not come as a total surprise because Moody’s did slap the state with a “negative” outlook last year and pointed to the state’s backlog of unpaid bills as the cause. Moody’s report said Illinois could improve its credit rating by enacting “a credible, comprehensive long-term pension funding plan” and paying down the backlog. The agency also called for “a legal framework or plan to prevent renewed buildup of late bills.” However, the report said a phase out to the tax increase without a solid plan to keep the budget balanced could result in further downgrades. As part of a three-year budget projection, Quinn proposed approximately 9 percent cuts to all areas of state government besides education and health care for fiscal year 2013. “We’re going to have to tighten the belt again this year,” Quinn told reporters in Chicago today. Republican legislative leaders said the downgrade marks the need for substantial reforms. “Today’s downgrade in our bond rating is obviously very bad news for our state, and it proves that the General Assembly and the governor must do some very substantive things this spring that show we are committed to fundamentally changing the way we structure our budget now and going forward. Enacting major pension reform and Medicaid reforms must be at the top of the list. Obviously the practice of nibbling around the edges on reform and other budget strategies has not convinced these bond rating agencies that we are on the road to recovery. We must be bold and deliberate this spring," House Minority Leader Tom Cross and Senate Minority Leader Christine Radogno said in a joint statement. Quinn has also renewed his call for borrowing to pay down the state’s backlog of unpaid bills, which totals about $7 billion, according to his budget office. The governor’s repeated calls to refinance the debt by borrowing to pay it off now and then paying back borrowed funds over time at a lower interest rate have for the most part fallen on deaf ears in the legislature. Republican U.S. Sen. Mark Kirk weighed in today against Quinn’s borrowing proposal. “Moody's' decision to downgrade Illinois debt echoes the judgment of my Sovereign Debt Advisory Board report last year. Governor Quinn is planning to borrow $800 million more in the near future, with higher and higher interest costs paid by Illinois taxpayers. We are reaping the results of years of irresponsible spending and debt,” Kirk said in a prepared statement. One bond rating agency says that if Illinois does not do more to balance its budget before the recent tax increase begins to phase out, the state could face another hit to its credit score. Fitch Ratings held Illinois’ rating steady at “A” with a stable outlook. (You must log in to see the report.) However, the rating means Illinois continues to be the second lowest rated state in the nation, behind California. The rating came as Illinois looks to sell bonds for capital construction projects. The state’s bond rating are used to determine the interest rates it must pay on debt. An analysis from Fitch says Illinois has taken some steps in the right direction to close the budget gap, such as the recent income tax increase. However, the analysis notes that the state will still end the current budget year with a deficit of more than $500 million. The rating agency says that Illinois has more work to do to address long-term problems. “While the actions taken were positive, significant challenges remain. The tax increases are temporary and will begin to phase out in 2015. Even if the state has achieved budget balance by that point, it will once again be faced with a significant budget balancing decision to make severe expense reductions that it has been unwilling to make up to this point, identify new revenues or make permanent the tax increases. In addition, there is limited ability within the existing budgetary framework to reduce the accounts payable backlog in a meaningful way without reliance on debt issuance, which has yet to be authorized,” the report said. Fitch analysts agree with Quinn that the projected pension payment of $5.2 billion, which is a 27 percent increase over the FY 2012 payment, and increased Medicaid costs, including bills that were pushed to next fiscal year, will put pressure on the FY 2013 budget. Quinn wants to keep education and health care spending flat next fiscal year, which his budget office says will require an approximate 9 percent cut to all other areas of state government. Even with cuts next fiscal year and generally flat spending levels in the next two fiscal years, Quinn’s budget office projects a more than $800 million deficit in FY2015, which is when the recent income tax increase begins to phase out. Fitch’s report says that if Quinn and lawmakers wait too long to address the issue of the tax increase phase out, the state’s credit rating could be downgraded. “Deterioration in the state's financial position, as evidenced by excessive use of non-recurring revenues or additional payment deferrals in the budget, could lead to negative rating action. Also, pushing up against the expiration of temporary tax increases in fiscal 2015 without a solution in place would put extreme pressure on the budget and likely lead to a [negative] rating action,” the report said. “We hear and acknowledge from rating agencies and investors that additional bipartisan action to implement further cost reductions and reforms is needed in this upcoming legislative session to achieve fiscal stability in our state,” said Kelly Kraft, Quinn’s budget spokesperson. Kraft said that Quinn is considering potential Medicaid and pension changes that would create savings and also hoping for increased revenues from economic growth to help stabilize the budget before FY 2015. Karen Krop, the primary analyst on Fitch’s report, said that Illinois must take steps to address the issue by the FY 2014 budget year at the latest. “When you get into 2014 budget, one would hope that they would be talking about how they are going to deal with that in the coming year.” But Krop noted that Illinois officials have a history of “waiting until the last minute” to address difficult situations. “If the income tax had been raised sooner, we wouldn’t have this accounts payable problem,” she said. The rating agency has yet to embrace Quinn’s plan to borrow money to pay off the backlog of unpaid bills. According to Fitch’s report, the state was able to pay off $1 billion in late bills with revenues from the tax increase, which brought the total down to $5.2 billion. But the report says the state expects an increase the amount of unpaid bills in the remaining months of the current fiscal year. A three-year budget projection that Gov. Pat Quinn’s office released today calls for cuts in most areas of state government. The plan lays out a proposed 9 percent decrease in Fiscal Year 2013 to all areas of state spending other than education and health care, which would both remain funded at FY 2012 levels for the next three fiscal years. According to the report, all levels of education — from early childhood education to universities and community colleges — will escape the ax under Quinn’s proposed budget plan. David Vaught, Quinn’s budget director, emphasized that the analysis released today is a projection, and the level of cuts to each area of government may differ when Quinn presents his budget, but 9 percent is generally what Quinn is looking at. “There will be adjustments up and down,” Vaught said. The report, which is required under recent budget reforms, said that the cuts are due in part to the squeeze that pension and Medicaid costs will put on next year's budget. The FY 2012 budget pushed about $2 billion in Medicaid costs into next fiscal year, and at $5.3 billion, the required pension payment in FY 2013 is projected to be $1 billion more than last year’s payment. Quinn has called for rate cuts to some Medicaid providers instead of slowing down the reimbursement cycle, which is the reason why so many FY 2012 Medicaid bills will be paid next fiscal year. “We don’t think that’s a good solution, and we think it just puts off the problem.” The report says Quinn plans to focus on pension reform in the coming fiscal year. “He’s not coming around to anything that’s unconstitutional, and he’s said that repeatedly,” Vaught said. However, he said that other options, such as targeting cost-of-living adjustments in pension benefits or shifting pensions costs to school districts and universities could be on the table. Vaught said that next year’s budget could result in more staff reductions but would not say if that meant layoffs or simply not hiring to fill positions that open up. He said that agencies have been informed of the level of cuts the governor expects, and they will began presenting their ideas for implementing cuts to Quinn’s budget office next week.